Images of Ruffner Elementary School. 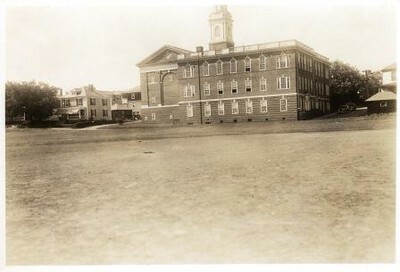 A 1940 image taken from the Ruffner playground. In the background is the rear of the Centenary Methodist Church on Rivermont Avenue. The playground was often used by the Parks and Recreation Department for various activities.